At Devon Dental Services, we hold ourselves to the highest standards in dentistry. Dr. Himmelberger is devoted to her craft of restoring and enhancing the natural beauty of your smile using conservative, state-of-the-art procedures. 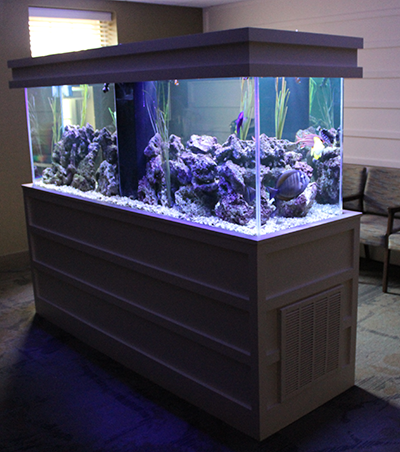 When you enter our office, the first thing you may notice is our fish tank. We hope you'll enjoy watching our salt water fish swim around just as much as we do! 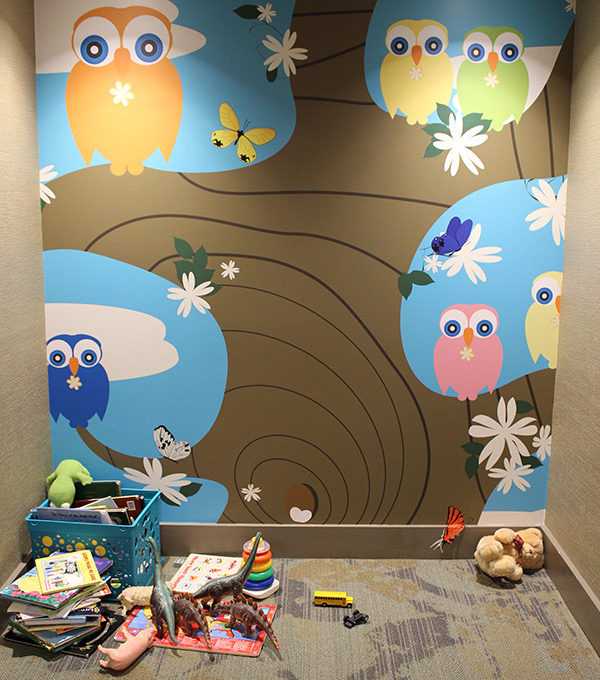 We also have our "kids corner" for your little ones to entertain themselves during their visit. A standard of excellence in personalized dental care enables us to provide the quality dental services our patients deserve. We provide comprehensive treatment planning and use restorative dentistry to achieve your optimal dental health. Should a dental emergency occur, please call us and we will make every effort to see and care for you as soon as possible. As a practice, we are true believers that preventive care and education are the keys to optimal dental health. We strive to provide “dental health care” vs. “disease care”. That’s why we focus on thorough exams by checking the overall health of your teeth and gums, performing oral cancer screenings, and taking x-rays when necessary. We also know that routine cleanings, flossing, sealants, and fluoride treatments are all helpful in preventing dental disease. In addition to our focus on your dental health, we’re also concerned about your overall health. A review of your medical history allows us stay informed about your general health and any new medications you are taking. There are many medical conditions and medications which can impact your oral health. As your dental health professionals, we want you to be confident knowing that we are a team of highly trained and skilled clinicians. To give you the best possible service and results, we are committed to continuing education and learning. We attend dental lectures, meetings, and dental conventions to stay informed about new techniques, the latest products, and the newest equipment in the dental field. Building a foundation of trust by treating our patients as special individuals is vital to our success. We understand how uneasy some patients may feel about their dental visits, and how we can make a difference in providing a relaxing and positive experience. Our entire team is dedicated to providing you with excellent personalized care and service to make your visits as comfortable and pleasant as possible. Our efforts strive to support the health, function, and beauty for those who seek it. Our dedication is to your health. Strong, healthy, and functioning teeth and oral tissues are a vital part towards your overall physical health - that is the goal when we work toward your concerns. If you have dental insurance, most dental insurance plans differ from each other. Our policy is that each patient is responsible for payment for his or her dental services. We submit all the information to the patient's insurance company for payment. If more information is required for your insurance coverage, we will submit it to them. Your balance is due by the 20th of each month prior to our next billing cycle. Our billing cycle, for you, takes place at approximately the end of each month. If you have financial issues, our staff will be happy to discuss some options for payment.